History | Annie Marggraf, Vancouver campus alumna, will be on JEOPARDY! Annie Marggraf, Vancouver campus alumna, will be on JEOPARDY! 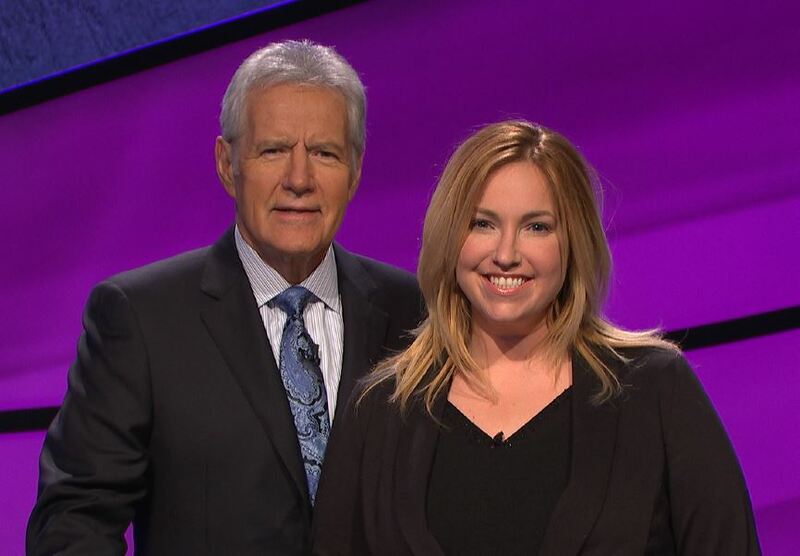 WSU Alumna, Annie Marggraf (BA 2016), will appear on the quiz show JEOPARDY ! Wednesday, March 8. Cheer her on as she dazzles Alex Trebek and the competition with her wit and knowledge. For the Eastern Washington television viewing area, Jeopardy! airs on Channel 6 (Q6) at 7:00 p.m. For the Vancouver/Portland area, it will be on Channel 2 KATU at 7:00 p.m.
Photo courtesy of Jeopardy Productions.